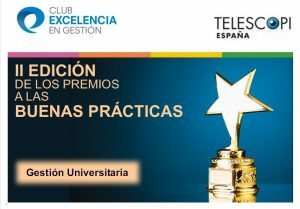 The University of Cádiz, from the Rector’s Delegation for Strategic Development, presented a candidacy for the “Call for Good Practices in University Management”, organized by the Management Excellence Club and Telescopi Spain, being selected as one of the three finalists. The award, presented at the X Conference of Excellence in University Management held in Jaén, went to the practice of the UCA, entitled “The integral cycle of continuous improvement in the II Strategic Plan of the University of Cádiz”, being received by the Rector’s Delegate for Strategic Development, Pepa Muñoz Cueto, and the Commissioner for the II Strategic Plan of the University of Cádiz, Antonio González Rueda. The evaluation committee, formed by Pablo Arranz (University of Burgos) and Carlos Calvo (European University of Madrid) highlighted the structured, integrated, revised and participatory system in its strategic formulation process. Another highlighted strenght was the way to facilitate the deployment of the University’s strategy and the internal deployment in academic units and transversal plans. In addition, the three aspects that are intended to be integrated into practice were emphasized: participation / training, communication and monitoring / review. The jury was formed by Santiago Roca (Polytechnic University of Catalonia), Julio Terrados and Antonio Martínez Olea (University of Jaén) and Mercedes Hernández (Management Excellence Club), under the coordination of Denise Sánchez (Management Excellence Club). 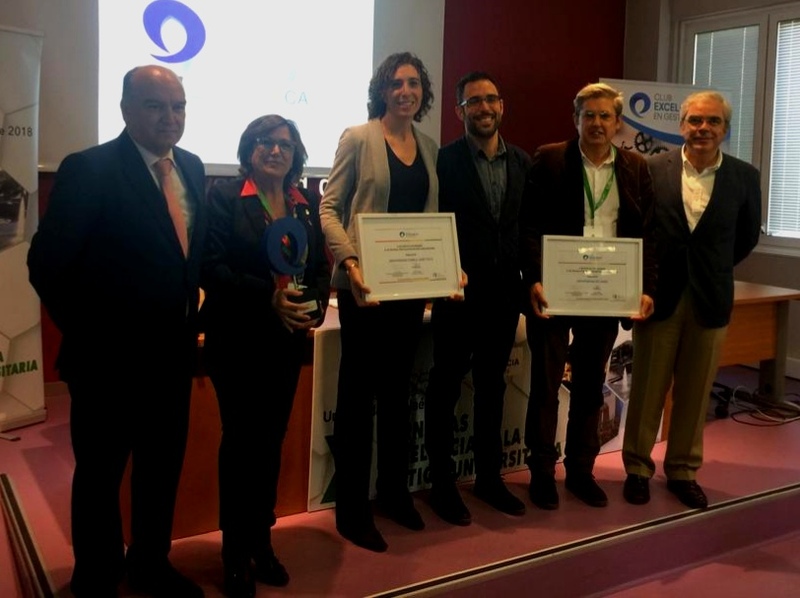 The achievement of this award means the publication of the practice in the “VISIÓNCEG” digital newspaper and on the “AGORACEG” platform, as well as giving it visibility through a Webinar, which will allow us to share it with the rest of the university community. The Polytechnic University of Catalonia, as the coordinating institution of the National Observatory, Telescopi España, aims to promote the excellence of higher education institutions, and contribute to the creation of a space that facilitates the involvement and collaboration between the universities of the country. For its part, the Management Excellence Club aims to enhance the global competitiveness of organizations, through the values ​​of excellence, facilitating an infrastructure to share knowledge, develop skills and give visibility to their excellence levels.